Fabulous modern city living! 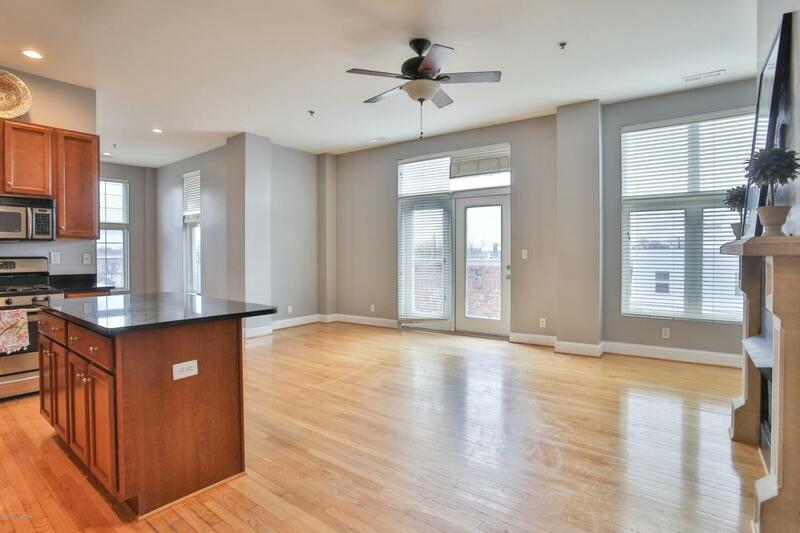 This 4th floor unit is spacious w/over 1300 sq ft with 10' ceilings and offering it's own private balcony! Open floor plan with hardwood floors, new carpet in bedrooms, granite countertops, stainless appliances including a gas range and a gas fireplace. Tucked away off the hallway are the master suite, guest bedroom with a 2nd full bath as well as a half bathroom. Full size washer and dryer are also in the unit. #402 comes with 2 covered parking spaces. Clifton Lofts offers an elevator, fitness room, large rooftop terrace and a courtyard. Walk to the many wonderful restaurants and shops off Frankfort Ave! Monthly HOA is $322.55 & covers water, sewer, trash, exterior maintenance, elevator and dwelling insurance. Call today to see all this property has to offer! © 2019 Greater Louisville Association of Realtors. All rights reserved. IDX information is provided exclusively for consumers' personal, non-commercial use and may not be used for any purpose other than to identify prospective properties consumers may be interested in purchasing. Information is deemed reliable but is not guaranteed accurate by the MLS or Keller Williams Realty Louisville East. Data last updated: 2019-04-21T23:58:06.043.